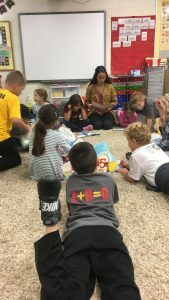 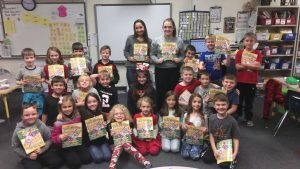 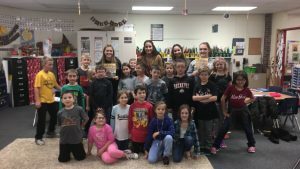 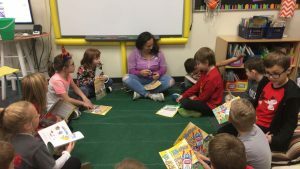 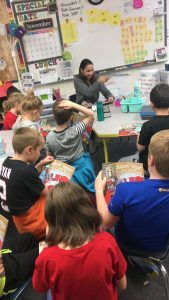 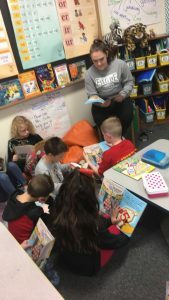 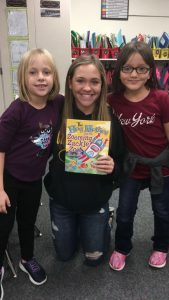 On Friday, 11.2.18 BWHS Cheerleaders participated in the 2nd & 7 Foundation Reading Program to read a book to the 2nd graders at Big Walnut Elementary. 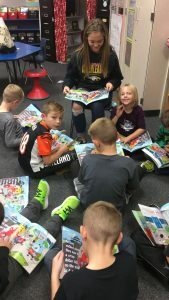 The 2nd graders receive a complimentary book during the reading. 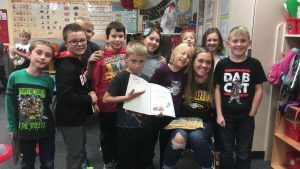 Tabatha Piper, 2011 Alumni and HS Assistant Varsity Girls Basketball Coach, coordinates with the HS coaches for their teams athletes to participate and with the 2nd grade teachers at Souders Elementary, Big Walnut Elementary, Harrison Street Elementary and General Rosecrans Elementary to set dates for the readings. 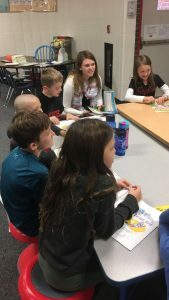 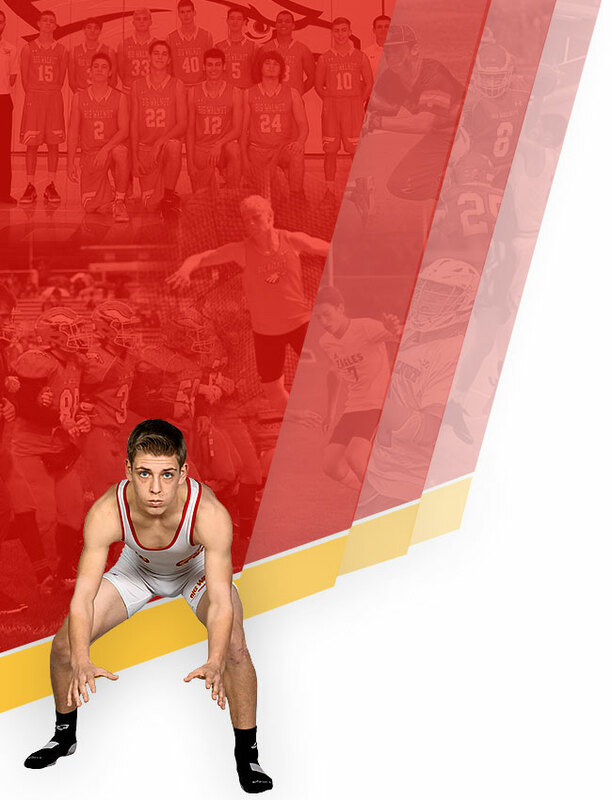 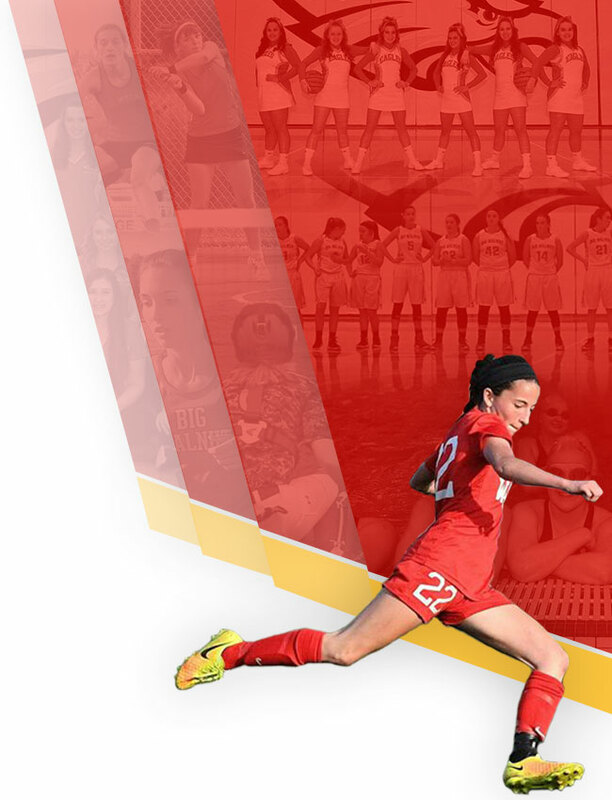 Here is the link to the 2nd & 7 Foundation to read more about the program https://www.secondandseven.com/.